The success of any home remodel will mostly depend on the contractor that you hire. That said, if you’ve never remodeled your home before, you might not know what to expect. At your first meet, the contractor should provide all credentials proving their legitimacy and ability to get the job done. We will even go as far as providing you with a list of references so you can check out our finished projects. This way, you feel comfortable enough to trust us with your remodel. A remodeler should first try to understand why you want to remodel in the first place. Our keen attention to detail, along with the ability to proffer bespoke solutions makes us stand out from other roofing companies in Michigan. We listen with the aim of delivering on your expectations. Ideally, you want a contractor to give you all the details regarding the project, such as costs, timelines, warranties, and any other useful info. 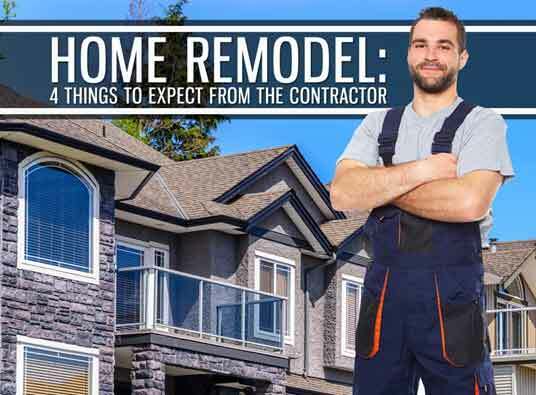 A remodeler who provides these upfront is more likely to earn your trust than one who keeps changing the contract details or providing piecemeal info at every turn. Getting regular updates from your contractor shows how much their commitment to meeting your needs. This way, you can ask any questions about the process, request an addition or adjustment, and even learn something new. As one of the top Michigan roofing companies, we make sure to keep you in the loop when working on your home. Feel free to discuss any concerns with us and we will find a way to include them in the process. Let Kroll Construction handle your roofing, siding, gutters, kitchen, and bath remodels today. Call us toll-free now at (888) 338-6340 or simply fill out our online request form. We look forward to working with you.